Amari Harrison’s favorite colors are pink and blue, but there were days when the 17-year-old only saw red. Temper outbursts brought on by her brother’s death plagued her school history. “I had built-up anger released toward everyday strangers,” she said, remembering those times. 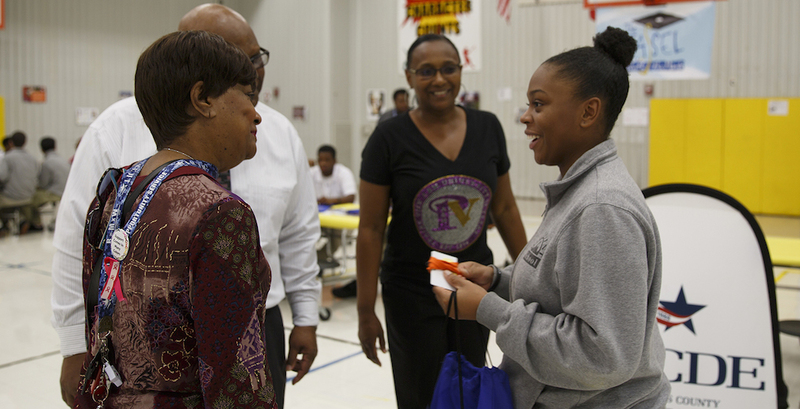 Amari is all smiles two days before she returns to her home school in Humble. Looking forward to a May graduation date, Amari repeats the word “excited,” all but clutching the credits she has earned from Highpoint East, her eight-month, transitional school. Highpoint East is Harris County Department of Education’s alternative school for troubled youth in Houston. Highpoint East uses a multi-pronged approach to helping students get back on track and return to their home districts to graduate. A low teacher-to-student ratio, along with a personalized plan for social and academic reform, helps students become successful. Highpoint East is one of four schools overseen by Harris County Department of Education, which helps school districts reach disruptive and special education students in a manner that they could not afford on their own. Low teacher-to-student ratios get results, but these solutions are cost-prohibitive for many districts without HCDE’s unique campuses. Learn more about HCDE schools. At Highpoint, students who follow rules and regulations are rewarded using a point system that reinforces good behavior and adherence to academics. Emphasis is placed on improved social skills. Thirteen districts in greater Houston currently contract with HCDE to send their students to these special schools. Students may have a history of unruliness when they arrive, but a sweep of the classrooms with 1-to-15 teacher-to-student ratios shows students focusing hard on their work. Each morning, buses from neighboring school districts drop off students from their middle and high schools. Students then walk through metal detectors and visit with teachers and staff during a friendly but serious pat-down search before they enter classrooms to begin the instructional day. “She’s a listener and is committed to being successful — the type of person that, even though she makes mistakes, she knows she can turn herself around,” Greene said. Amari points to her grandmother, Alice Scott, as her role model in life. A senior who wants to be a physical therapist, Amaris is also a survivor herself. When she walks across the stage in May at her high school in Humble ISD, she visualizes making her family happy. 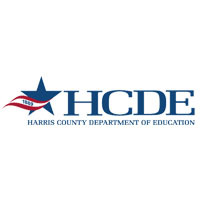 Learn more about Harris County Department of Education at www.WhatisHCDE.org or www.hcde-texas.org.